Yesterday, I had the privilege of hosting an early fall luncheon for some wonderful lady friends. I love to set a cozy fall table. This time we had a centerpiece of hand-blown glass pumpkins, gourds and leaves from Cohn-Stone Studios in Richmond, CA. 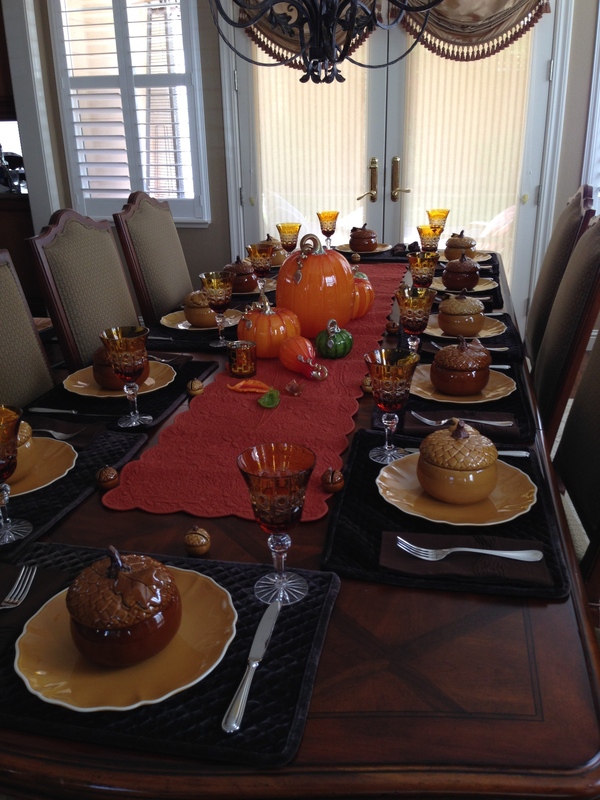 The table was set with plates and individual acorn soup tureens from Williams-Sonoma. We had a wonderful pear and green salad followed by Southern Living Magazine’s Cheesy Vegetable Chowder. One of my favorite fall recipes. Dessert was Libby’s Pumpkin Roll. The recipe right from the inside of the can label. 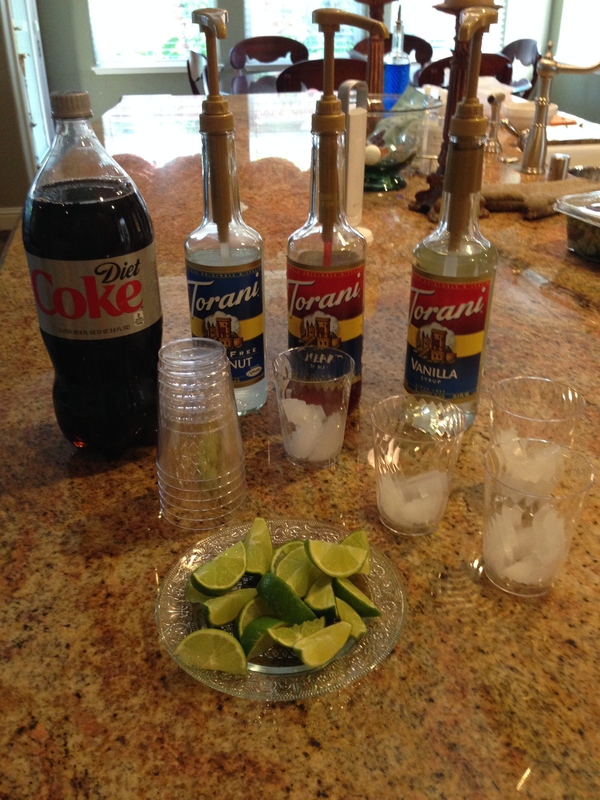 Just for fun we had a little “dirty diet coke” bar complete with cut up limes and your choice of coconut, cherry or vanilla Torani syrup to add some fun flavor. I really enjoyed of having a fun meal at home instead of a restaurant. It seems like a more relaxed environment where you are free to stay or go whenever you need to. It’s always fun to use your creativity to come up with a fun table and a yummy meal. Something I should really do more often. 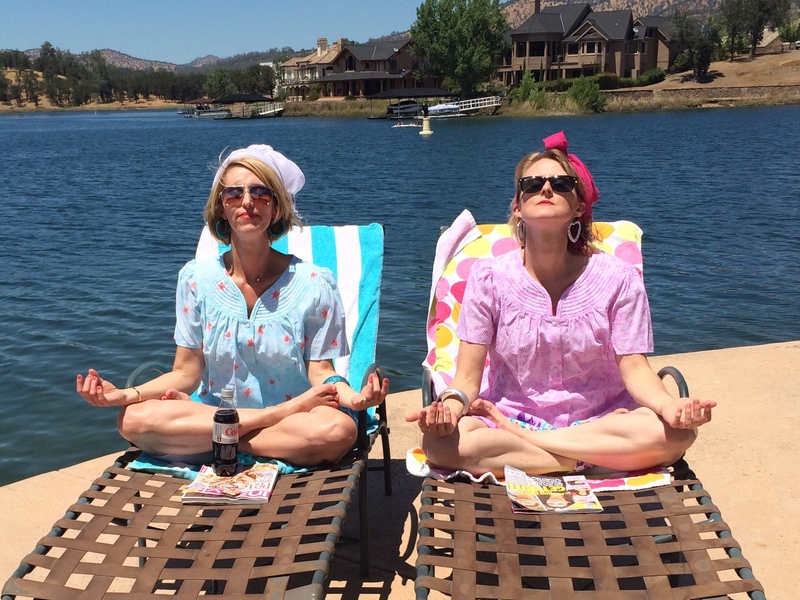 This entry was posted in Entertaining and tagged entertaining. Bookmark the permalink. That looks like it was a fun party!! Love your blog. Can’t wait to see what you girls are up to next. Thanks Caryn. We are having a great time!